Owing to the fact that a winch comes handy especially on off-road and rural environments, choosing the best winch sometimes can be quite a daunting task. A winch is mostly used to haul heavy objects and vehicles. They are our life savers, especially when gravity decides to overcome our four wheels and pull them deep into a point where moving isn’t possible. Having one at the rear of your RV gives you all the confidence you need to make that off-road trip a success. It is always in our best interest to find the best winch that has our desired features and are sold within our budgets. To begin with, as tempting as cheap winches that are being paraded everywhere to buy, it is not worth it. It is better to have a winch that is of high quality that will not disappoint you when you are in need. A high-quality winch is worth your money and the risk. 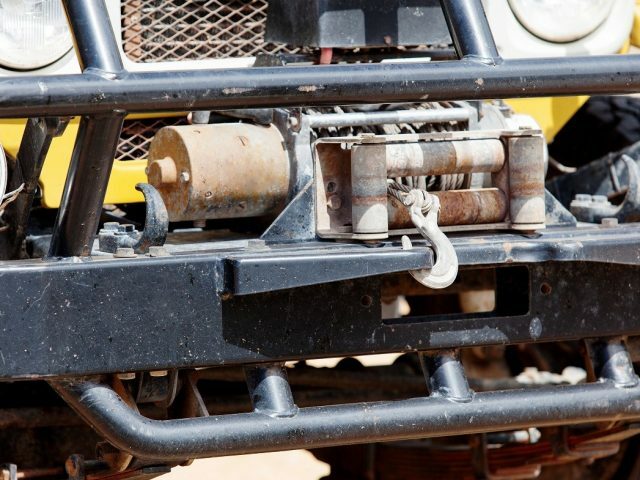 The winch size is another factor that you need to address before getting yourself a winch for your off-road trip. Multiplying your GVW with the standard unit of 1.5 so as to determine the minimum size of winch you will require is not that good of a solution because there are certain situations where the standard rule of thumb will not apply. The frequency and the weight you intend to use the winch will also determine the right one for you. There are three main categories of winches of winches are the magnet motor winch, series wound, and the hydraulic type. All work at their best when subjected to certain situations. If you happen to winch light weights, then magnet motor comes handy. The usual heavy winching needs a more energetic winch like a series wound. So knowing the two factors will enable you to purchase the best winch. The winch also has to be safer to use and efficient. Talk of load cone break structures that are automatic and the synthetic ropes or the wires are strong enough and can withstand the thermal heat that might wear it out. A good winch is supposed to hold onto the weight firmly during winching to avoid any further accidents. The synthetic ropes and wires should also be strong enough to withstand harsh weather conditions. If you are a power sports kind of a person, you should consider purchasing a 1500 lb. This will ensure that your 4 * 4 truck is stable enough. Lastly, getting your 4 * 4 track the best winch for off-road trips is not easy if you don’t put all the mentioned considerations. Checking out various customer reviews and pro and cons is a plus for you because you will be able to hear from the consumers that have already have interaction with the winches. After all, that, deciding what the best winch will be quite easier and whatever brand you will purchase will most definitely be worth your money.